Film screening as part of the exhibition WHAT IS DEMOCRACY? Recent video work addressing issues of political and documentary representation, often overlooked by mainstream media. 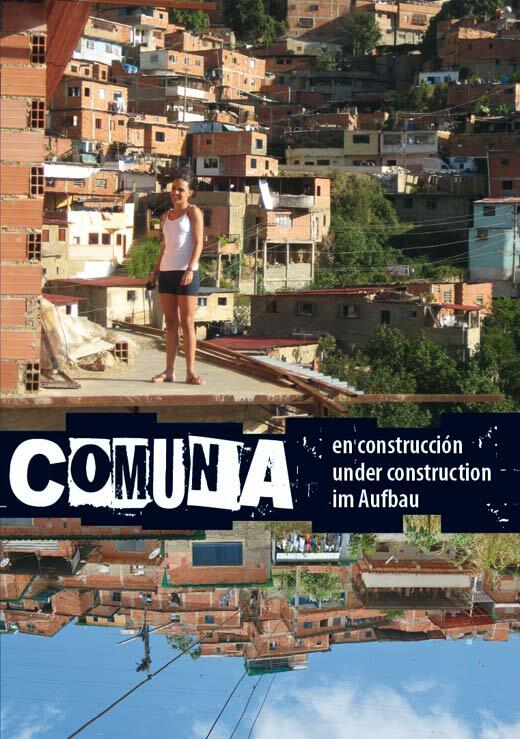 Focused on sites of conflict and resistance--the Colombian armed conflict, postwar Afghanistan--as well as the politics of transparency and representation--the Palestinian refuge camp, the Consejo Comunal. The series includes films by Bodil Furu and Beate Petersen (Norway), Dario Azzellini and Oliver Ressler (Venezuela/Austria), Reza Haeri (Iran), Carlos Motta (Colombia/U.S. ), and the Otolith Group (U.K.). Uneven Geographies brings together the work of artists from five continents who find experimental ways of capturing the processes of globalisation, and its human consequences in various regions of the world. Latin America - Back on the Agenda? DW-TV´s international talk show with four journalists discussing the week´s top international issue. This panel of foreign correspondents and German journalists exchanges views on key political, business and cultural topics in the exclusive Quadriga studio right next to Berlin´s Brandenburg Gate. Thirty minutes of guaranteed exciting debate spotlighting their take on world events.